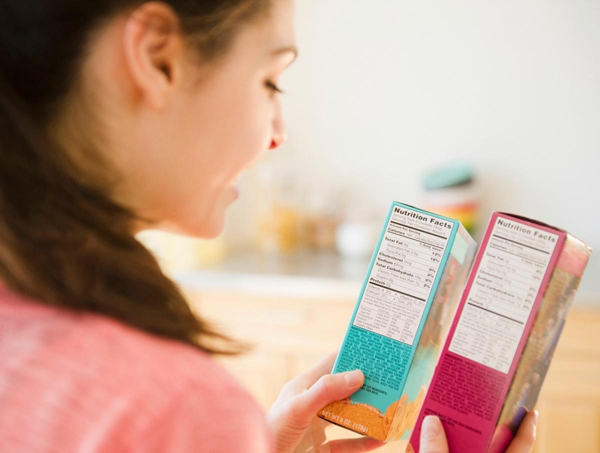 Reading food labels can save you the trouble of packing on pounds without knowing why and struggling to shed them without success and again even knowing what is wrong with your diet. With such knowledge you can make healthier choices and really track what you put in your body. At first glance a product might seem harmless and even healthy, especially when adorned with such alluring epithets like ‘organic’ and ‘insert-something-free’. But only when you look at the ingredients and nutrition facts you can truly tell whether or not it’s going to do you any good. When it comes to calories the manufacturer usually puts a number per serving, the size of which may vary from product to product. For instance, a serving size of peanut butter is 32 grams or two tablespoons. And a serving size of Hershey’s Kisses is 9 pieces (40g). So when you see a number of calories, even in drinks, it means calories per serving, not the whole thing. To know the amount of calories in a whole jar of Nutella or peanut butter you only have to multiple the number of servings (indicated under the serving size) by the amount of calories per serving. There is about 2,000 calories in a 400g jar of Nutella. Now, for the good stuff. Well, that depends really. 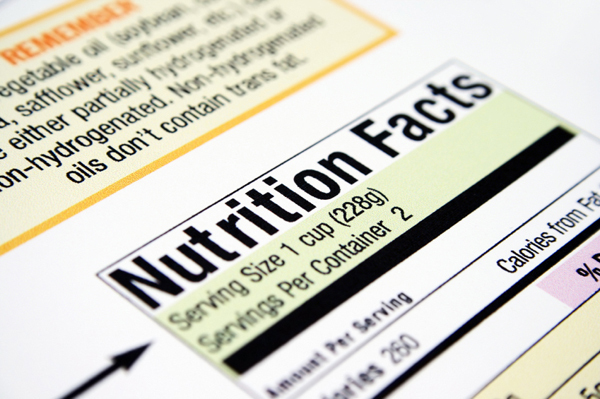 Nutrients listed under Nutrition Facts and their amount in the product may tell you a good deal about the product and its true value. Total fat tells you how much of all kinds of fat is contained in the product. Saturated and trans fats aren’t good for health especially the latter, so you might want to look for products with none of those and little unsaturated fats. Sugars section include all sugars including added and naturally occuring so you’ll have to check the ingredients to see what kind of sugar has been used in the product. Watch out for sodium contents. The daily estimate is around 2,300 mg. Dietary fiber should be present in products that contain grains. Whne it comes to micronutrients like minerals and vitamins you will find their amounts listed below and find the percent daily value, which is based on 2,000 calorie diet. This shows how much of which nutrients are contained in a single serving of food. Regardless of your calorie intake it shows you if a product is high in certain vitamins and minerals. 20 percent is considered high and 5 percent is considered low. Don’t buy into all the labels that claim the product is healthy and organic. Read everything you can find on the packaging and then read the brand’s website if you want further information. For those who suffer from gluten intolerance or food allergies the information on what other foods each brand’s facility handles can be very important. You may also learn the ways the brands source their foods and/or ingredients. When it comes to sugar-free products make sure that the brand uses an approved sweetener. Also keep in mind that certain products contain sugars that are occuring naturally. Gluten is harmful to people with celiac disease and gluten intolerrance. It hasn’t been proven that eliminating gluten leads to weight loss. Buying gluten-free products you may deprive yourself not only of choice but also dietary fiber, which may already be insufficient in your diet. This entry was posted in Nutrition and tagged diet, healthy foods. Bookmark the permalink.